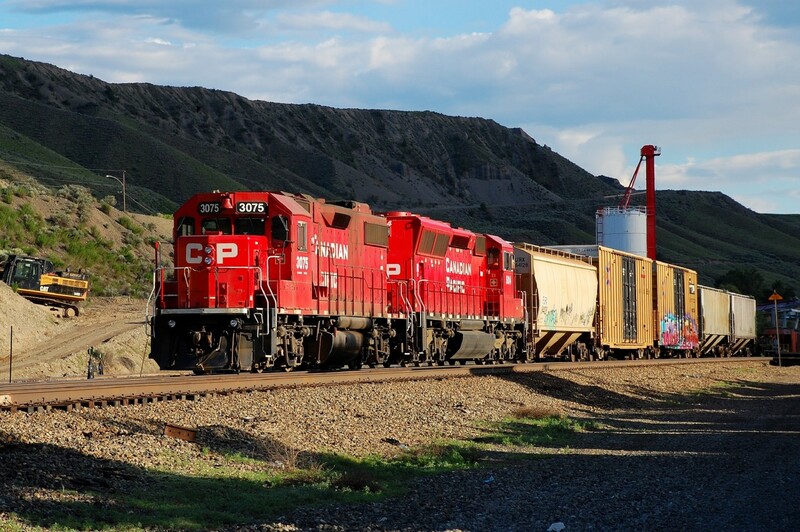 Railpictures.ca - Richard Hart Photo: CP nos.3075 & 5014 catch the early evening sunshine as they switch the yard in Ashcroft. | Railpictures.ca – Canadian Railway Photography – photographie ferroviaire Canadienne. Caption: CP nos.3075 & 5014 catch the early evening sunshine as they switch the yard in Ashcroft. Thanks Mr.Priest, I felt lucky to catch it in this lighting. Very nice. The dark background and foreground really brings out the units and train. A very well positioned photo.